Becky has been a member of ASG since 2001 and is a charter member of the Plano ASG chapter. 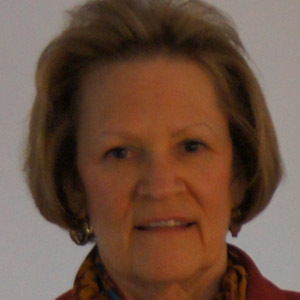 She has held several positions in the Plano Chapter including Neighborhood Group leader and Special Events Chairperson. Becky has been sewing since she was a child. Becky enjoys garment sewing and recognizes that fit is one of the biggest challenges of garment sewing. With the aid of pattern drafting software, fit is no longer a challenge and she can focus on fine-tuning her sewing skills. ASG has been very helpful in this area: ASG workshops by national and regional educators, programs by various neighborhood groups, and especially having ASG friends as “Fitting Buddies”. My name is Melanie Fredrickson and I love the American Sewing Guild of Plano. Since I’ve joined the group about 3 years ago, I have met many wonderful and creative women. I enjoy leading the Needle Nuts neighborhood group and am currently 1st VP. My sewing background began early in life when I fell in love with paper dolls. Custom dressmaking is my full time occupation now and I love to create garments embellished with fabric flowers, laces and beading. Markita lives in McKinney and is the neighborhood group leader of the new McKinney group. She has been sewing forever, and was one of the charter members of the DFW ASG group 25 years ago. Currently an art instructor at The Einstein School in Plano, mom of four young men. Has dabbled in almost every kind of art and craft, and occasionally produces something finished. Mary Jo has been a member of the Plano Chapter of ASG for just a year, but has loved the art of sewing since she was a pre-teen. Clothing design and construction was her major at TWU and she worked in the biz – designing children’s clothes until she had children of her own. Over the years Mary Jo has had the pleasure of teaching many young friends and relatives to sew. These days she devotes most of her ‘sewing time’ to drafting patterns and building garments for herself and her granddaughter, Holly Frances – who is now 2. Mary Jo also enjoys making hand bags and home dec. items. Carol joined ASG four years ago, and has enjoyed all the Neighborhood Groups, and meeting all the talented members. She has been sewing since about age 7, her Mother taught her sisters and Carol to sew. She sews clothing, bags and totes, quilt, curtains, needle felt, make jewelry, and crochet. Debby is a retired 3rd grade teacher from Plano ISD. She took refresher classes in sewing shortly after her retirement, and has been sewing almost every day since! Most of her sewing time is spent making clothes for herself, but now a few items for her twin granddaughters are starting to appear on her sewing table. Debby is always trying the new skills she learns at ASG meetings, and her goal is to share whatever she learns with her sewing friends. My first real sewing experience was when I was 8. I graduated from Michigan State with a BS in Clothing and Textiles and my first professional job was a buyer of fabric and needlework for a Department Store. I joined ASG in 2008, wanting to have relationships with other sewists. My major sewing interests are creating challenging garments – the more pattern pieces the better. Since garment construction is my main area of interest, I have volunteered to be the leader of the Evening Garment group (new name: Best Dressed Mondays). I retired in August 2012 and now have time to attend ASG NG that meet during the day, publishing the newsletter, and attending sewing conferences and expo’s around the US, along with my daily sewing. Sheryl found ASG when she re-entered the world of sewing – sewing more than simple unstructured garments that is- in August 2012. After a 15+ year break in any serious attempts in garment construction she realized most of her skills had too much rust on them to be very effective. In her search for help she found the annual ASG conference which then led her to the local chapter. Sheryl has found the members and group meetings to be an incredible source of encouragement, information and ideas. She is excited that coordinating special events can be her way to dive in and contribute something back to this group that is contributing so much to her renewed love of sewing. Terry began sewing her own clothes in high school for two reasons: nothing ready-to-wear fit and back then making your own clothes was less expensive than buying them. After retiring, Terry decided to combine her love of sewing with her love of teaching. She went to Palmer/Pletsch workshops to become a Certified Fit Instructor for both upper and lower body garments. She also became proficient in patternmaking software and offered monthly workshops on the software and also on fit, color analysis, and figure analysis understanding that clothing can be used to flatter the figure as well as cover it. Since discontinuing her workshops in 2005, Terry has spent her time (when not sewing) to pursue more knowledge in patternmaking, design, and garment construction. Jane has been sewing for over 50 years with garment sewing being her favorite. She has been sewing a few quilts, curtains, drapes etc as well. After moving to the DFW area Jane joined the Dallas Chapter and served several years on its board. Around 2004 a few members decided to form a Plano Chapter which has been growing ever since. She has served as President, Treasurer and now Community Service chair. Under Carol and Jane’s guidance recently a Charity Sewing Neighborhood Group was established and they hope to see many at some of the meetings. Nienke (pronounced [neenka]) has been a member of Plano ASG since October 2011. Despite years of encouragement by her grandma, she only started sewing in the summer of 2011, after moving all the way from Europe. She now spends her time volunteering, including at Children’s Medical Center, where she sees first-hand how much joy handmade items bring. She enjoys working on home decor projects and making toys, but hopes to learn tailoring and garment sewing.